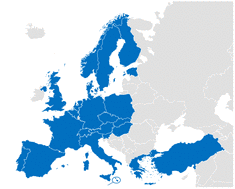 In 2012, the European Union (EU) adopted legislation that has encouraged its member countries to work with each other to build upon eHealth and increase the overall quality of their healthcare systems. The goal is for the EU to combine and share its knowledge to improve its members’ healthcare systems and to make interoperability possible. Companies such as Big White Wall (UK), Marand d.o.o. (Slovenia), and Medixine (Finland), are already innovating healthcare systems in the EU, improving patient care which will spread across country lines. eHealth companies in the EU now have the opportunity to expand from country to continent, provided the service is beneficial enough. To read more on EU eHealth initiatives, click here.